The Bank of Canada has held its benchmark interest rate steady at one per cent, with the central bank warning the country's economy is performing slightly better than expected but will soon change. The Bank of Canada on Tuesday held its benchmark interest rate steady at one per cent, with the central bank warning that the country's economy is performing slightly better than expected but will soon change. It's the 10th consecutive policy meeting that the central bank has stood pat. "Uncertainty around the global economic outlook has increased," the bank said in its latest policy decision. "Conditions in global financial markets have deteriorated as the sovereign debt crisis in Europe has deepened." The bank's target for the overnight rate is the rate at which banks borrow for short-term loans. Many other interest rates in the consumer sphere are correlated to it, so it is the central bank's best weapon for heating up or cooling down the economy. Althought the bank has held the benchmark interest rate steady, it also added a cautionary note. "The weaker external outlook is expected to dampen GDP [gross domestic product] in Canada through financial, confidence and trade channels," the bank said. "The economy also continues to face competitiveness challenges, including persistent strength of the Canadian dollar.... 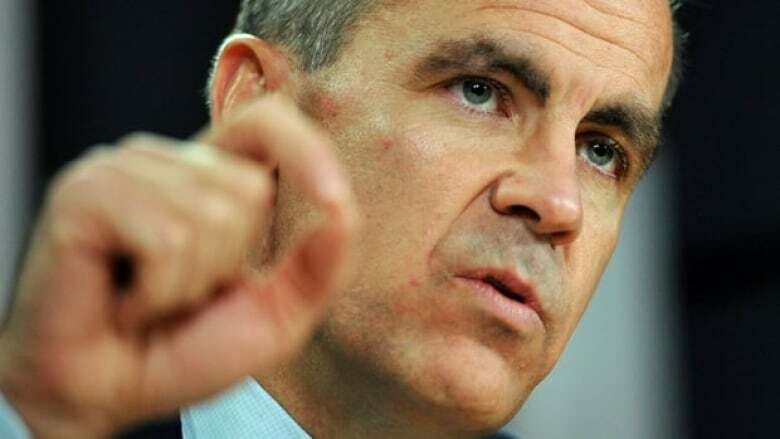 Reflecting all of these factors, the bank has decided to maintain the target for the overnight rate at one per cent." Choosing to hold steady is another signal that the bank remains concerned about the state of the global economy, but not enough to make credit cheaper to obtain than it already is. "They gave no hints whatsoever that they were possibly thinking of a rate hike or cut in the months ahead.... they are just not going there," said Doug Porter, deputy chief economist with BMO Capital Markets. Porter said the bank would need to see a resolution to the European crisis and sustained stronger growth in the U.S. to entertain raising borrowing costs for Canadians. To cut interest rates further would likely require Canada falling back into recession, he added. "The bank will continue to monitor carefully economic and financial developments in the Canadian and global economies …and set monetary policy consistent with achieving the two per cent inflation target over the medium term," the bank said. Last week, the central bank moved in conjunction with five other influential central banks to ensure that U.S. dollars are available throughout the world by lowering the fees lenders must pay to access them. In its statement, the bank said the economy has performed better than anticipated in the latter half of 2011. Statistics Canada data recently found that the economy is expanding at a 3.5 per cent annual pace, ahead of the bank's projection. And while most private-sector economists expect that to slow to about 1.5 per cent moving forward, that's still well ahead of the Bank of Canada's 0.8 per cent expectation. The central bank raised its target for the overnight lending rate to its current level from 0.75 per cent in September 2010. The bank meets every six weeks to decide on its interest rate policy. Its governors are next scheduled to meet on Jan 17. MAP: How do you feel about the economy?